The C ommunity Garden started in 2010 in collaboration with Framlingham College who kindly donated the land for the project. A dedicated team have acted as the point of contact between Greener Fram and the College. They organised events, planting and volunteers on the 3rd Sunday of each month. The team now wish to step down and we thank them for all their work over the last eight years. We now need a new team to take up the project and to develop it further in discussion with the Greener Fram Core Group and the Framlingham College. At present many of the plots are being used by other organisations and Greener Fram works 6 plots. We have 3-4 regular helpers meeting on the 3rd Sunday of each month. The Community Garden has a fenced raised bed area, an orchard, and meadow. The new team would act in a coordinating role as well as developing new events. They would work closely with the Greener Fram Core Group and receive support from them. Greener Fram is acting for a positive future. Are you interested in joining us, if so contact Jackie on 01728 684312. Don’t worry if you don’t have a team, others may feel the same, and together the new team will be formed. Same place and same time. Also enquire about free mending. It maybe possible to mend what you thought you were going to throw away. New venture – Mend Shed ask for details. 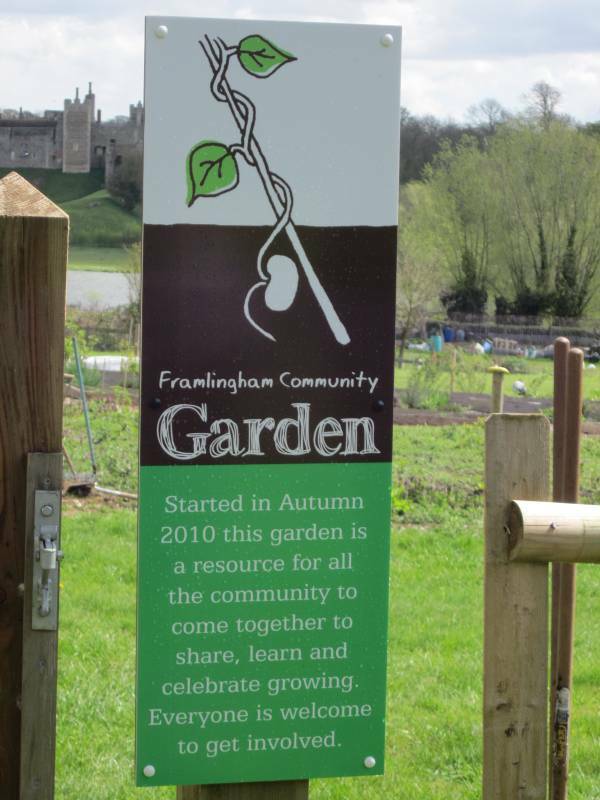 Greener Fram also runs a community garden in cooperation with Framlingham College, a LETS scheme, bulk buy goods from SUMA and is always willing to involve new people who may have ideas of their own. Future Swap and Mends are planned on Saturdays 14th July, (a rest in August), September 22nd, (AGM in October), November 10th and December 8th. We could do with more volunteers to help with the Swap and Mends please ask for details on Saturday.